It is now clear that the TJX Companies Inc. will pay $2.7 million in penalties to settle a civil law enforcement action filed against them in the Monterey County Superior Court. The retail store chain was accused of violating Monterey’s hazardous waste laws. TJX Companies Inc. which has its headquarters in Massachusetts operates 286 retail stores across California under the brand names T.J. Maxx, Marshalls, and HomeGoods. 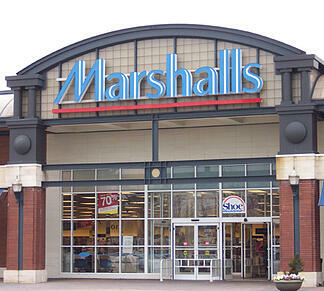 It operates two Marshall’s stores in Monterey County. In 2011, the Monterey County Environmental Health Bureau was informed that Salinas Marshalls had disposed a box containing 116 intact lamps and 48 smashed tube lamps –all containing mercury. The mercury lamps were later recovered by the Sun Street Transfer Station and later disposed of safely as hazardous waste. Upon further investigation, the Monterey and Alameda District Attorney’s offices were able to prove that TJX stores throughout California had violated laws related to safe handling, transportation, storage, and disposal of hazardous waste. The hazardous wastes included batteries, aerosols, mercury lamps, electronics, and personal care products among other toxic materials as well as ignitable and corrosive substances. Mercury lamps, if broken, usually release toxins that if inhaled can be absorbed causing various health complications. In a 1987 case, a 23-year old who suffered mercury poisoning reported weight loss and severe rashes. The substance also damages brains in both children and fetuses. Light bulbs break all the time and although ordinary citizens are a little unaware of the risk posed by just a single breakage, the California Department of Environmental Protection is very stern in its directions on how these bulbs can be disposed. 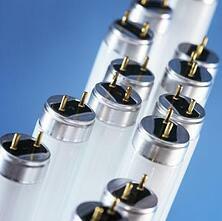 All tubular fluorescent bulbs contain mercury albeit in varying amounts, typically between 4 and 5 grams. It is this mercury that helps the bulbs emit light; no other substance has comes close. This is the dilemma we find ourselves in; we just have to continue using mercury in light bulbs. The federal government, various state governments, and environmental organizations, both governmental and non-governmental, have all voiced their concerns over the use of the element in day-to-day appliances. Actually, it’s now illegal to use mercury in thermometers, thermostat switches, and in the automotive industry. When a bulb breaks, the mercury escapes in form of vapor which can easily be inhaled by people close by. The breakage will also produce fine powder that can settle on textiles and other materials. Even intact bulbs are just as dangerous because when left out there they could easily break on their own causing the same risks. In Monterey and California in general, intact bulbs are required by law to be properly disposed of. Earth 911 and the U.S. Environmental Protection Agency (EPA) maintain online directories for collection sites. 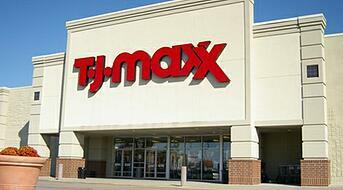 Under the final judgment, TJX will pay $2,777,500 in civil penalties. The money is expected to be channeled towards supplemental environmental projects aimed at protecting the environment and the people of California. With more and more large corporations being fined for hazardous waste violations, like Walmart and Lowes, you have to wonder if this practice is a viable business strategy! In addition to that, the company will also be required to pay $40,000 to Hope Services which will help with the production of six electronic waste drives and educational material to be used for environmental campaigns for households in Monterey County. As part of the lawsuit, the company has been directed to keep records documenting compliance with the state’s law. The decision was arrived at by Monterey and Alameda District Attorneys, two City Attorneys’ offices, and 33 other California District attorneys.